This is an original, completely restored to as “born” condition, Canadian documented Z28 in an unusually rare Frost Green colour. It has the original 302 DZ motor coupled to the original M20 4 speed transmission with original 3.31 rear end gears. 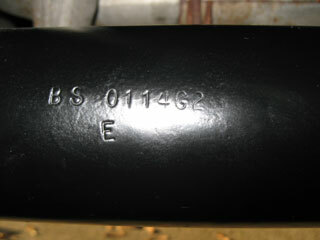 With all original panels there are only 72,000 total miles on the car. Rare options include the ZL2 special ducted hood, VE3 Special Front Bumper and G94 3.31 rear axle ratio. 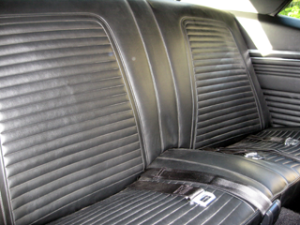 Delivered new in March 1969 to Beare Motors out of Port Perry, this was specially ordered by a GM employee. 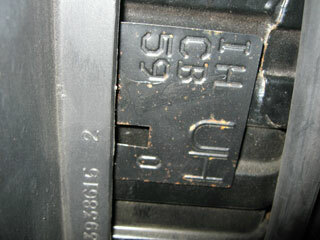 The unusual rear end ratio of 3.31 (standard was 3.73) probably saved the engine from ruin. Other options included D55 floor console, U63 AM Radio, G80 Positraction and Z23 Interior Decor Package. 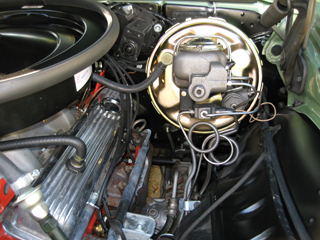 The 1969 Camaro had an unusually long run due to delays with the launch of the 1970 Camaro. Total Camaro production was 243,085 of which 20,302 were Z28’s. 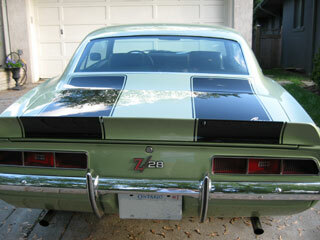 The Z28 had to be ordered with front disc brakes and a 4 speed transmission. The base cost of a Camaro sport coupe was approximately $2,776 and the cost for the Z28 option was $473.95. Add in mandatory power disc brakes at $64.25 and the four speed transmission for $195.40, a few other desirable options, dealer prep and destination charges and you could drive off the lot for about $4,000 plus tax. For this you got a solid lifter camshaft, 11.0 to 1 compression ratio with special forged pistons, double hump cylinder heads, 2.02 intake valves, 1.60 inch exhaust valves, a high flow 800cfm Holly carburetor, high rise aluminum intake manifold, quick ratio steering, special heavy duty radiator with a seven-blade fan, heavy duty suspension, 3.73 axle ratio, rear bumper guards, E70 x15 inch Goodyear White Letter Tires mounted on special 15×7 inch Rally Wheels, dual hood and deck stripes and dual exhaust. Rated at 290 horsepower to placate the insurance industry of the day, the true horsepower is said to be in the 375 range. This was gross horsepower measured before any power robbing accessories such as power steering or alternators were added. 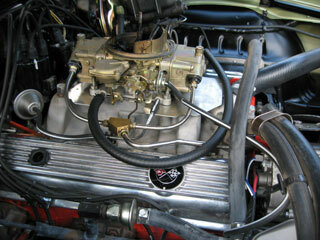 The Z28 was not particularly quick off the line and really did not get going until the engine got up to 4,000 rpm. Road tests of the day with the standard 3.73 rear axle put the quarter mile time down at about 15 seconds at 95 miles per hour. 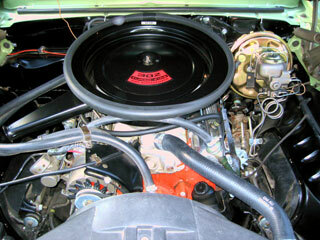 Compare that to today’s new Z28 capable of doing the same quarter mile in less than 4 seconds and in excess of 120 mph. 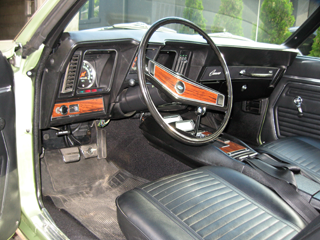 This beautiful example of one of the most popular Camaros of all time has seen few miles since a complete restoration. Always a Canadian car it has several desirable options such as the painted front bumper and the ZL2 ducted hood. So what is it like to drive a 1969 Z28? Several pumps of the accelerator are required to get the engine fired up but when it does you have that unmistakable mechanical sound only a solid lifter engine can make. 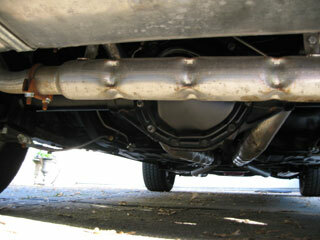 The exhaust flowing through two pipes with minimal muffling is extremely loud out the back end. The clutch operation is smooth and firm with an easy engagement. Once underway, quick acceleration takes a little bit of patience as the engine must get up to its sweet spot above the 4,000 rpm mark. That is when things get exciting! Above this level and up to the 6,000 rpm redline there is a symphony of sounds emanating from the massive Holly carburetor gulping huge quantities of air through its large four barrel primaries and secondary’s to the rush of exhaust out the 2 ½ inch pipes with minimal muffling. Anyone within a half mile radius knows you are coming! The Hurst shifter operates in a precise manner and upshifting or downshifting is handled with ease. Straight line acceleration is fairly straightforward and there is plenty of torque to spin the tires down to the bias ply cords if you wish. It is only when you try to either stop or turn that the excitement really begins. The steering is incredibly sloppy as measured by today’s standards and the stopping power appears near non-existent. The seats provide a flat surface to support your weight with the center console or the door giving you any lateral support. Thank goodness for lap belts to keep you in place! At 60 miles per hour the engine is turning around 2800 rpm in 4<sup>th</sup> gear. For any kind of serious acceleration you really need to gear down to second to get the revs up to where the engine is happiest. Low revs will also foul the plugs and on a hot summer day the engine may overheat. It’s best to keep out of stop and go traffic for sure. Straight line cruising on the highway is a pleasant experience and there really is no necessity for a radio as you are making your own music. The car tracks true and the ride is smooth. Driving around town the Z28 brings a lot of thumbs up and high fives from young and old alike. It is a timeless classic and a real pleasure to drive. 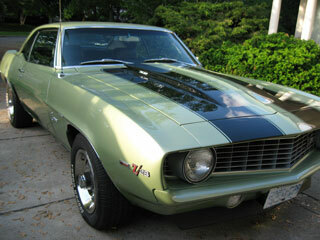 This Z28 is one of our Museum cars available for sponsors or patrons for promotional purposes.